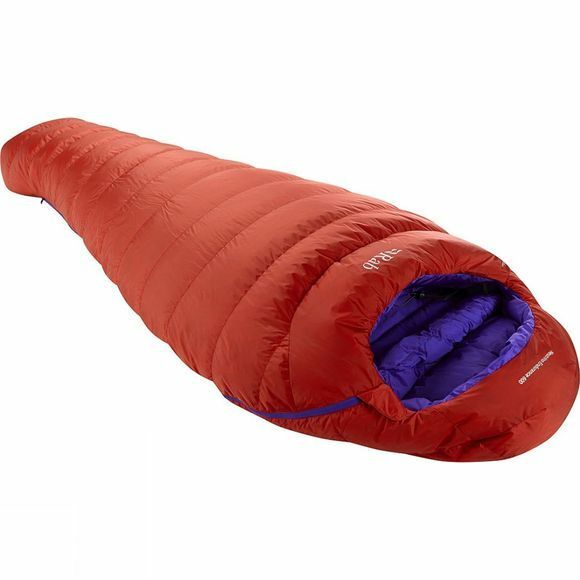 Working well for alpine bivi environments and general mountain use, Rab Neutrino Endurance 600 Sleeping Bag helps you with a peaceful sleep, when you need it the most. 600g of 800 fill power Hydrophobic European Goose Down delivers you the comfort and warmth that you need for a good night's sleep, whilst the Pertex Endurance Outer helps give the bag a light water resistant protection layer. On the inside you'll find a close fitting neck baffle design with a YKK 3 coil zipped stash pocket, internal collar and hood drawcord.